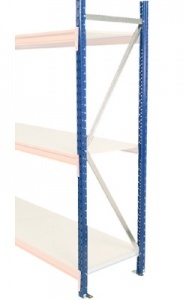 Individual shelf levels for our popular heavy duty Longspan racking system. 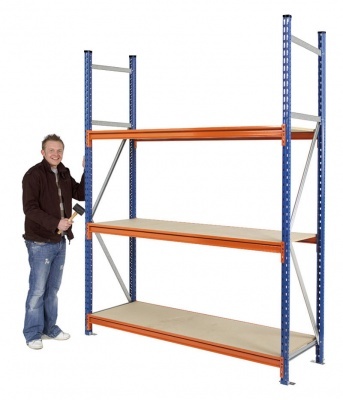 Use them to add extra levels to your existing bays or to create your own racking configurations. 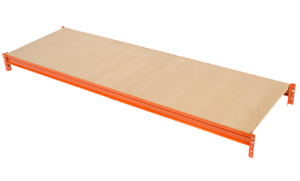 Each level supplied comes with a pair of steel support beams (orange), a chipboard deck, chipboard support bars (if required) and safety locking pins. 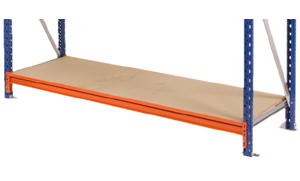 Choose from a wide range of sizes to suit your needs, please take care when ordering as the stated dimensions shown are taken from the size of the chipboard rather than the overall length of the beam. 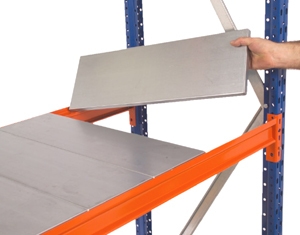 Installation is simply a matter of lining up the beams with the relevant slots in the posts and tapping into place, once correctly installed the hole for the locking pin will be visible. 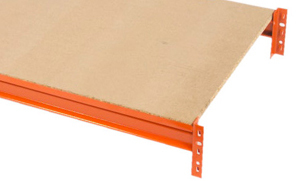 The number of chipboard supports varies depending upon the shelf size ordered and some of the smaller options do not require any supports.